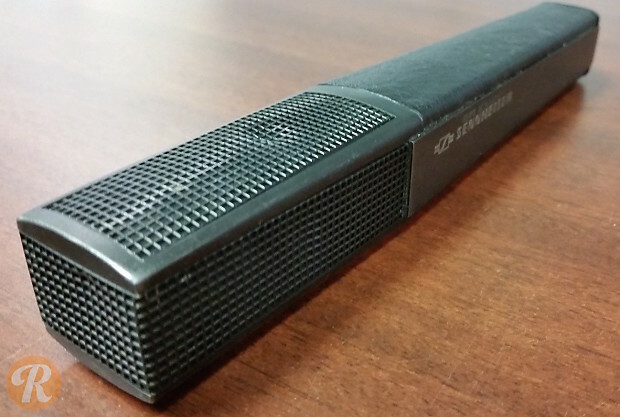 The Sennheiser MD 441 is a dynamic super-cardioid mic that sounds like a condenser mic. With balanced sound and precise signal reproduction even at high sound pressure levels, the MD 441 is an excellent dynamic microphone. It boasts excellent feedback rejection, a hum-compensating coil, a five position bass roll-off, a treble boost, and a pop filter. The MD 441 is a mic that allows you to contour your sound to your desires.